This 2016 is fruity and structured, with aromas of blackcurrants and spices. The mouth is fresh and lively. The tannins are melted and round. The balance alcohol-acidity reveals the perfect harmony of this wine. The roundness and finesse of the Viognier blends perfectly with the power and structure of the Syrah. 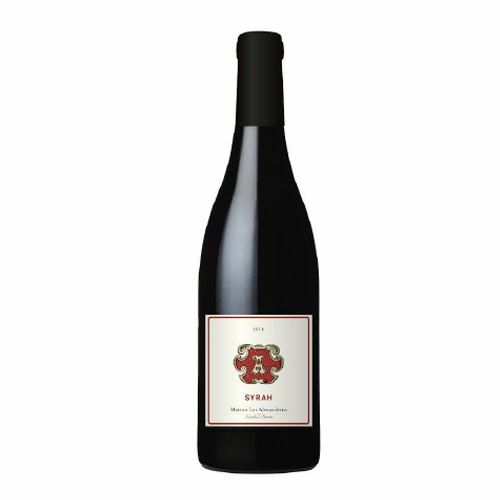 It is in its French birthplace, between the towns of Vienne and Valence, that Syrah fully expresses itself. For some people, Syrah originates from Shiraz in Iran and was brought back by the Crusades. For others, Syrah appeared in the third century during the Roman Empire, at the time of Emperor Probus. As for Viognier, the latest scientific research proved that it originates from the Northern Rhône Valley. The grapes are cold-macerated before fermenting to develop the fruit. Maceration and fermentation for a fortnight with pumping over the first few days and then pumping down towards the end. Part of the wine is aged for 5-6 months in stainless steel tanks. This type of tank helps keep the freshness and fruit. The other part is aged in oak tanks for the same amount of time to help extract the tannins.